Gokulam Kerala FC CEO Ashok Kumar was manhandled by a bunch of Real Kashmir FC officials today at EMS Corporation Stadium. Real Kashmir FC was allotted Kozhikode Medical College ground for training after the inspection done by the Match Commissioner on Thursday. Due to hartal, we had difficulty in arranging transport to Medical College Ground on time. The training time was at 10 am and the bus reached at the hotel at 10.06 AM. But instead of waiting for the bus, the whole Real Kashmir team barged into the stadium and started to make a melee. The strike and the difficulty to get transport were informed to them and the AIFF officially on Wednesday itself. However, the players and officials barged into the stadium, hurling abuses. When our CEO requested them to leave the stadium, they manhandled our CEO and Kozhikode District Football Association official Hammeed. They snatched Hameed’s mobile phone and threw it on ground, thereby destroying it. They went on to train at the ground. During training they intentionally destroyed two Hero I-League runner boards. Gokulam Kerala FC has been a good host to all the travelling teams. No teams were allowed to train at the field of play match day minus one. The home team also trains at the same venue of the away team. We have arranged training ground at Medical College ground, which is one of the best football pitches available in Kozhikode for the away teams to train. 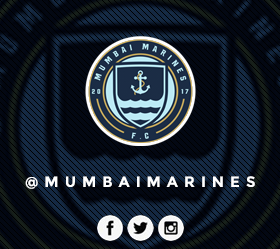 We have paid for the ground and no other I-League team does the same to the travelling team. Several teams including Minerva Punjab CEO Ranjit Bajaj has personally appreciated our hospitality when their team travelled to Kozhikode. Despite instigating violence and abusing Gokulam Kerala FC officials, they have spread blatant lies on social media. Police have taken a statement of the events occurred at the stadium. The match commissioner was also present at the stadium. Instead of behaving like professionals, Real Kashmir FC officials behaved like a set of hooligans. We have officially complained to the AIFF about the misconduct of the Real Kashmir officials.